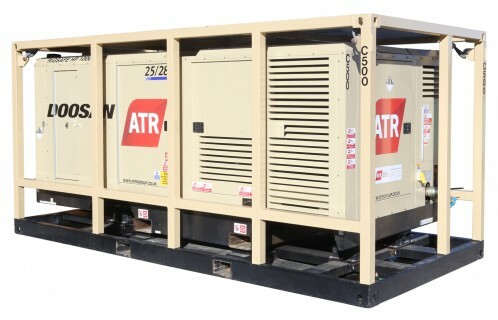 ATR Power Solutions is a specialist provider of compressors and generators to the oil and gas, marine, subsea and renewable industries worldwide. A multi-million pound investment in Zone II compressors and temporary power generation equipment means we possess one of the most advanced hire fleets in the UK market. 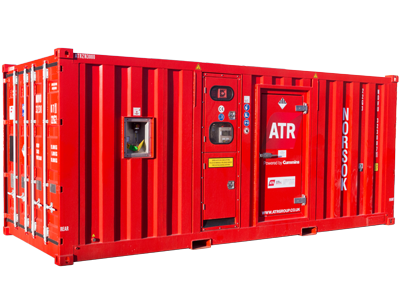 Our core products include ATEX Zone II compressors, rigsafe compressors, temporary power generation equipment, dryer packages, air receivers and associated ancillary equipment. Comprehensive equipment maintenance training programmes, packaging and sales services, installation and commissioning capabilities, field support for client-owned equipment and integrated asset management: all part of the ATR Power Solutions proposition. 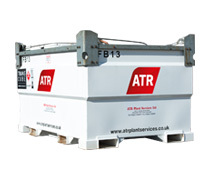 ATR Power Solutions can provide customers with a fully integrated service designed to support the needs of the major oil and gas operators and service companies, fabric maintenance, pipeline integrity, subsea and renewables markets. That's why we're a supplier of choice to many international blue chip companies who trust our products - and know they can rely on our front-line knowledge and experience. Our range of Rigsafe compressors represents one of our core product offerings, in a range of sizes suited to support projects of any scale. 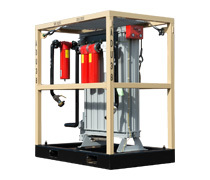 With output ranging from 140cfm (4m3/min) – the optimum solution for deployment of a small number of tools – up to 1060cfm (29m3/min), 7 bar - 25 bar, they’re provided as mobile, skid mounted and fully certified DNV 2.7-1 crash framed. For sale or hire, they’re supported operationally by a range of quality ancillaries such as air receivers, PRVs and hose packages. We can supply skilled and experienced people to install, commission, operate and maintain the equipment. The versatility and reliability of our Rigsafe compressors highlights one of our key objectives: providing cost effective solutions to your challenges . If you're looking for more advanced, more reliable and safer Zone II compressors, you need look no further. 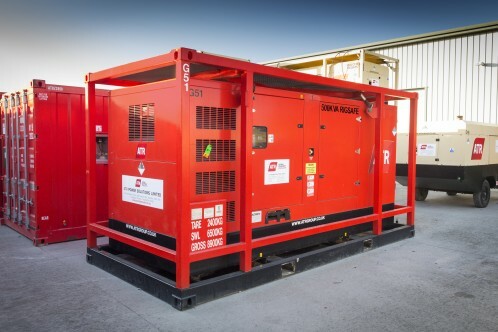 We've introduced ATEX compliant DNV 2.7-2 and NORSOK Z-015 units to our fleet of zone II compressors, which are fully containerised and possess advanced technological systems to offer greater operational efficiency and safety during deployment in hazardous areas. Designed and manufactured in close conjuction with Cummins UK to the highest specifications, delivering improved reliability and availability levels, therefore reducing your OPEX and increasing your project ROI. The low maintenance compressors eliminate the short comings of conventional alternatives, - and are exceeding client expectations. ATEX-certified, the compressors are equipped to deliver output of up to 1000cfm and possess state-of-the-art fire detection and suppression systems. 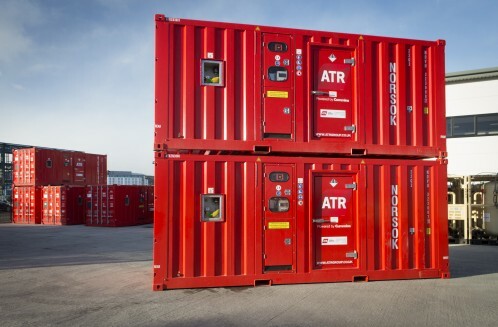 Our Rigsafe generators, ranging in rating from 30kVA to 1250kVA, come in mobile, skid-mounted, containerised and in fully certified DNV2.7-1 crash frame options to offer adaptability in deployment. They’re supported by AMF and manual change over panel options, mains distribution boards and cable packages to aid operational flexibility and we support their use with a range of back-up services. We can provide OEM skilled and experienced electrical/mechanical technicians to install and commission, operate and maintain your system globally at short notice. Our fuel delivery tanks come in 3,000 litre and 4,500 litre options and yield a reliable, cost-effective fuel supply on site. They’re designed to automatically support multiple units from each tank, adding greater efficiency to your operations. Serving to help create the right operational environment for a wide variety of industrial activities, our dryer packages – at 1100cfm – are capable of supporting the largest compressor systems provided by the group. They solve air moisture issues in the most challenging locations and the most sensitive operations. Their compact footprint – 2m by 1m – means space is not an issue.